Recognize this solitary Gothic Revival church, set on what looks like the countryside of an older New York City? 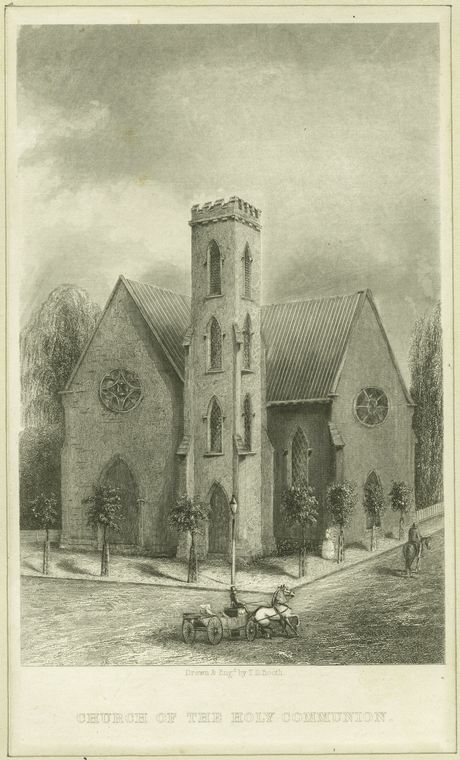 It’s the Church of the Holy Communion, an Episcopal church built between 1844 and 1846 on Sixth Avenue and 20th Street. 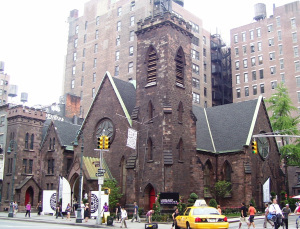 But it might be better known as the church that from 1983 to 2001 housed the Limelight, the notorious nightclub famous for its celebrities, club kids, and bridge and tunneler crowd (and a link to a gruesome murder in 1996). This sketch, from the New York Public Library, isn’t dated. 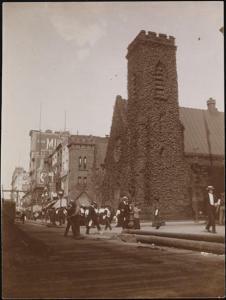 But it appears to depict the church during its early years, when 20th Street was at the outskirts of the city. Designed by Richard Upjohn (he also built Trinity Church in 1846, among others), Holy Communion was architecturally groundbreaking at the time.